The Bolivar Tubos No.1 is a medium-full Corona cigar, of earthy flavors, 42 ring gauge, 5.6” (142mm) long and comes in aluminum tubes in a box of 25. It is a very elegant cigar of impeccable construction and provides lots of complexity in aromas. The flavors are dominated by earthy tones, wood, mixed with lots of spices. It does have heavy aromas despite being medium to medium-full body cigar. The packaging is as remarkable as the cigar is; the beige aluminum tube is very classy. The Bolivar Tubos No.1 is a medium-full body cigar with lots of dank and earthy flavors; you will feel like taking a walk in a dark forest. 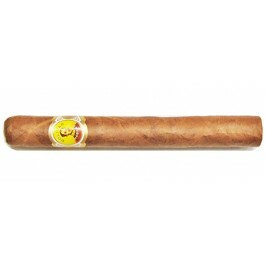 •	This cigar has similar tastes compared to the Bolivar Coronas . •	Powerful leathery, earthy, and woody flavors. Very complex cigar that would become even better after some aging time. The construction of the cigar is admirable; it is well packed, even from the head to the foot, with a wonderful double cap. Great looking oily wrapper but not flawless, only just a bit rough and a little bumpy, few veins are visible. It has a beautiful dark color. The cigar has a light tobacco smell, and we get a nice blend of aromas from the pre-light draw, something very much like a potpourri kind of smell. We can pick up sweet, dank and earthy aromas before lighting up the cigar. The draw is open and decent throughout the whole cigar. The burn line is perfect all along, and the ash chunk can build-up to an inch and half long before falling off. The first third greets you with this potpourri like aromas and some very sweet tobacco. In the first third strong earthy and leathery flavors dominate, along with some roasted fruits aromas. Some spicy notes are also picked up and soon the fruity notes leave place to more leathery and woody aromas of cedar. The cigar is medium full bodied and each draw produces a good amount of smoke. The aroma that comes out from this cigar is absolutely phenomenal, some complexity already emerge, with some deep aroma of dark tobacco, dank notes of moist forest, mushroom and leather. Overall, the cigar is never harsh. In the second third, the cigar while still very soft loses some sweetness and makes place for some stronger earthy tones. One can even feel like tasting a damp forest soil, along with some leather and bread flavors. However the sweet tobacco aroma persists and compensates the overall bitterness. Nice hints of spicy chocolate are noticed on the finish. In the final third, the strong bitter aromas go down a notch; the chocolate aromas become more present, on the draw, as well as on the finish. The latter has also some hints of leather and smooth spices. There is a good amount of smoke created by this last third. In summary, the Bolivar Tubos No. 1 is an amazing cigar, which can be enjoyed at any time of the day. Its medium to medium-full body produces deep earthy flavors, alongside with spices, leather, chocolate and tobacco. All the flavors are well balanced, in a fantastic mixture of tastes thanks to its magnificent construction. Don’t miss your chance to smoke one; it’s a top notch cigar.